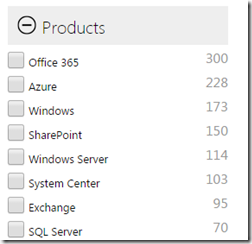 Microsoft Ignite 2015–What’s Its Purpose? What is the Purpose of Ignite? TechEd used to be the main learning conference Microsoft would run every year. While events like the PDC (Professional Developers Conference) and Mix talked more about future or bleeding edge technologies, TechEd was always about learning about what was current and adopted. It also had a 30/70 split between developer and IT pro content. Over the years this changed, and TechEd was really seen as the IT pro event while Build became the developers conference. With the announcement of Ignite many wondered what would happen to TechEd. Initially the messaging was that both events would be co-located; on-premise content would be “TechEd” while cloud content would be “Ignite”. As we got closer to the event all mention of TechEd was gone though, so we’re left with Ignite and Build as the two Microsoft North American conferences. This transition was felt throughout Ignite, with content being an interesting mix. Consider the graphic below, taken from the Ignite sessions site (all content is available for viewing by the way). This breakdown gives you an idea of where the content focus was from a product/platform point of view. Some of this is a bit misleading as well. SharePoint sessions were overwhelmingly associated with Office 365. SQL Server sessions talked about SQL in a cloud/Azure context or on-premise topics for SQL 2014; although SQL 2016 is slated for a preview release this Summer, I don’t believe there was any content supporting it at Ignite. Also interesting is that nowhere do we see Visual Studio as a filter option for Products, yet there were definitely developer-based sessions. According to the Audience filter options there was 158 “Enterprise Developer” focused sessions. The majority of those were focused on Windows 10 universal apps and Office 365 development, although I attended some great sessions on Entity Framework, DDD, and ASP.NET 5; these were well attended sessions too, with around 500 – 600 people in each session. One thing that’s striking though is the number of sessions aimed at IT Influencers, Implementers, and Decision Makers – 843 compared to 193 for Developers and Architects. So where does this leave Build and Ignite from an audience perspective? Initially I saw it as Build for developers, Ignite for IT pros but I don’t think that’s the case anymore. It’s not a line divided across role boundaries, but organizational ones. Build, with its smaller attendance cap and west coast location, is really the event for commercial, start-up, product-based, and/or small-to-medium sized organizations. Ignite, hosting over 23000 people and with its more central geo-location, is the event for anyone in enterprise IT. Build is about how to create custom applications on the Microsoft development platform. 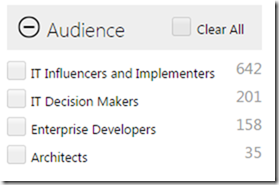 Ignite is how to implement, customize, and manage Microsoft products and platforms. The environment you work in plays a much larger role in which event is right for you than what your role at work is. 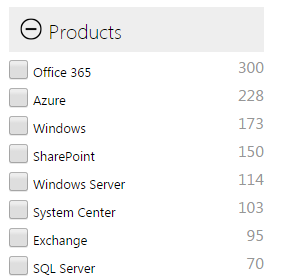 With Microsoft wanting to push more Azure adoption in the enterprise, it makes sense that it would focus on the IT pro side. But a little more developer content would be a welcome addition and make Ignite much more attractive for software developers.